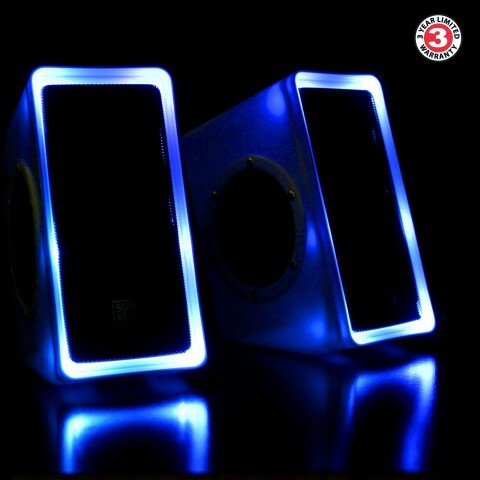 Designed with rear-loaded volume control, alluring blue LED lights and two front-loaded 3.5W drivers, the O2i will enhance the ambiance of your room, office or game-station. 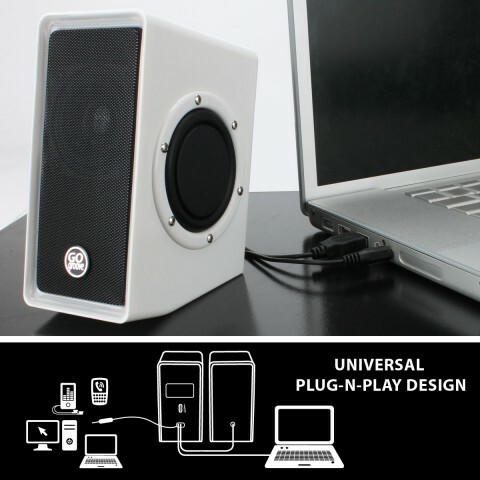 Plug-N-Play for exceptional audio. 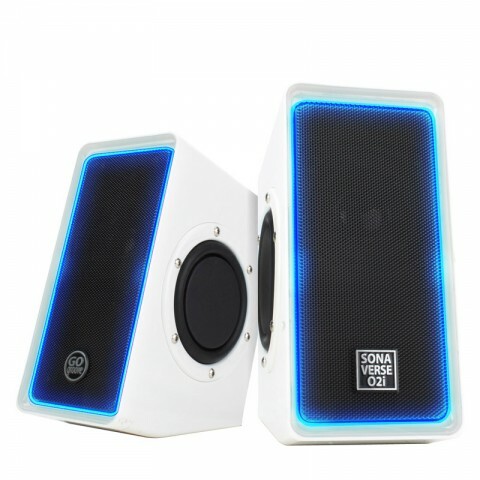 The GOgroove SonaVERSE O2i isnât just a pretty pair of speakers with aesthetics. 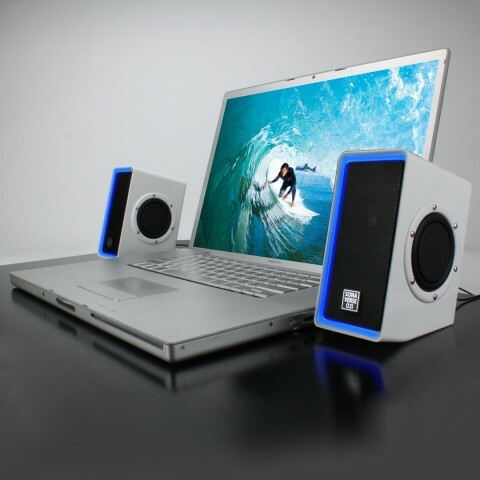 Built for performance as well as aesthetics, the O2i features two front-loaded 3.5W drivers coupled with dual passive woofers in either speaker for enhanced bass resonance. 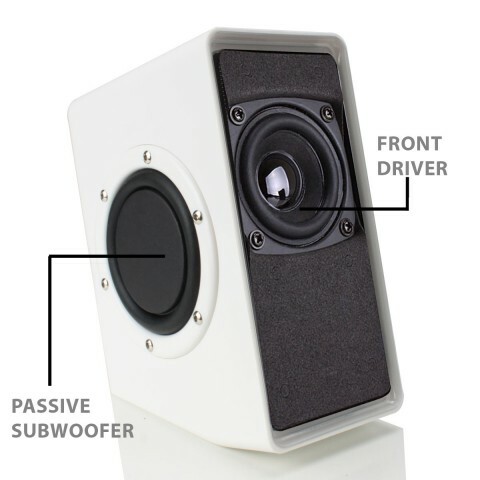 The end result is a robust set of speakers that can pump out a rich and diverse range of sound no matter what youâre listening to. Housed in a glossy white shell with polished metal mesh, the O2i is constructed to add style to any setup - home, office, dorm, etc. The crowning feature is the blue LEDs built into the housing that provide an elegant glow in darker areas. 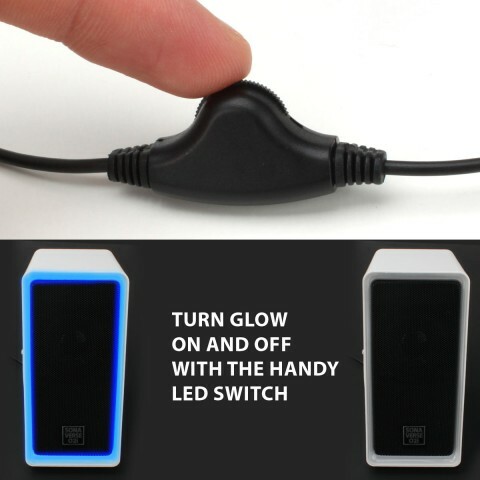 As an added bonus, the O2i comes with a LED switch so you can turn off the lights if you prefer the speakers without them. 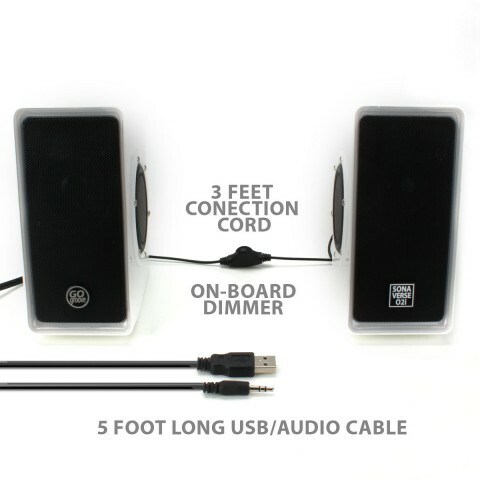 Plug-N-Play design powers the O2i via USB port with no extra adapters required. 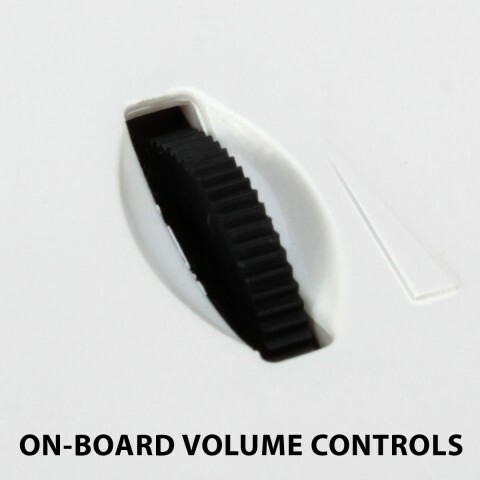 A rear-loaded volume control allows for quick audio adjustment and the 3.5mm audio jack plays music from your computer or other audio devices like iPods, tablets & phones. The compact design makes relocation a snap.